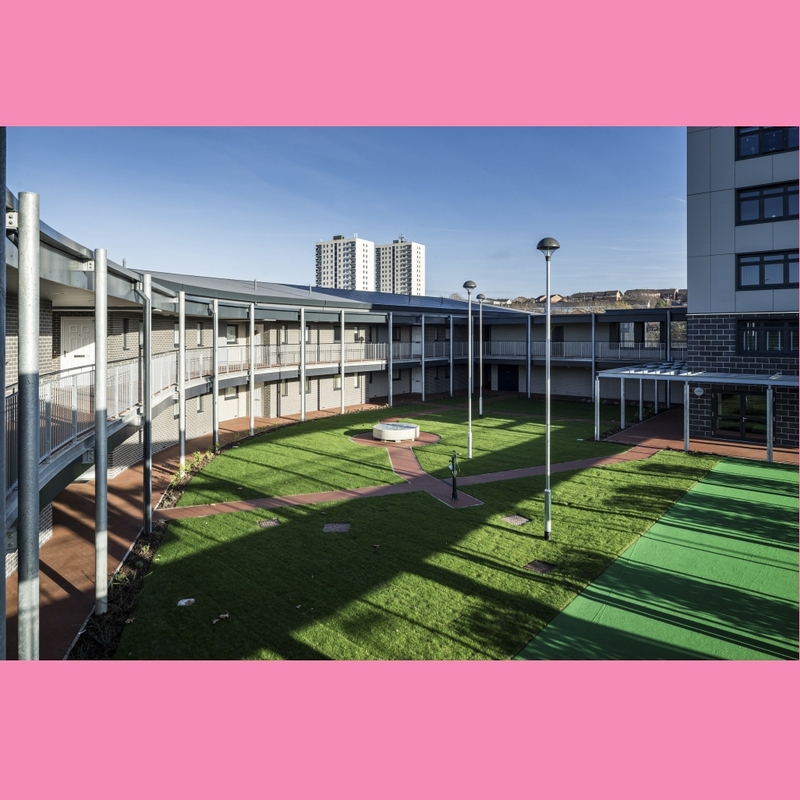 Click here to view the YouTube video of the opening of the scheme. 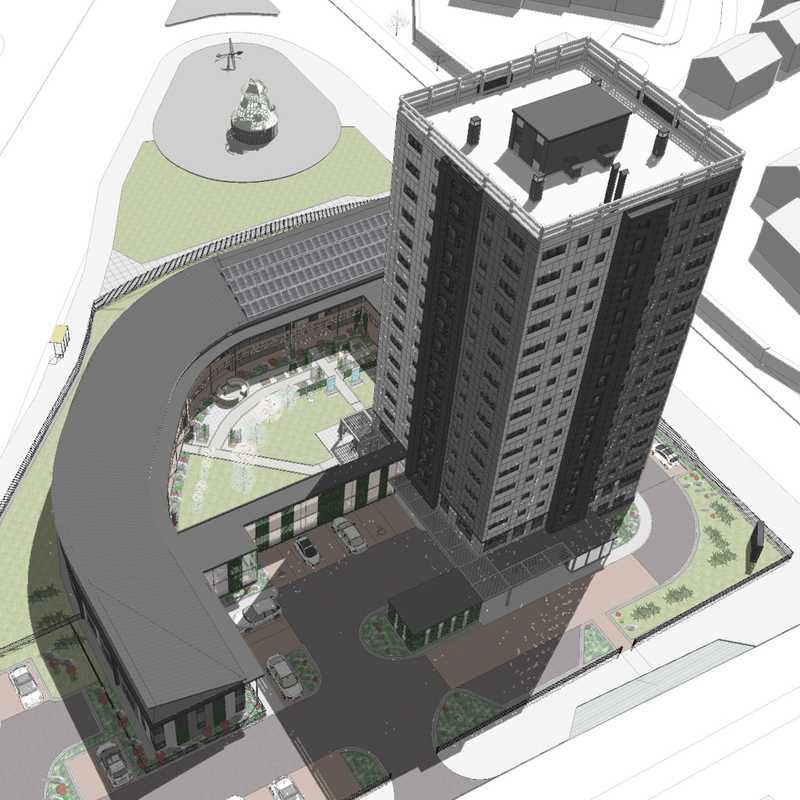 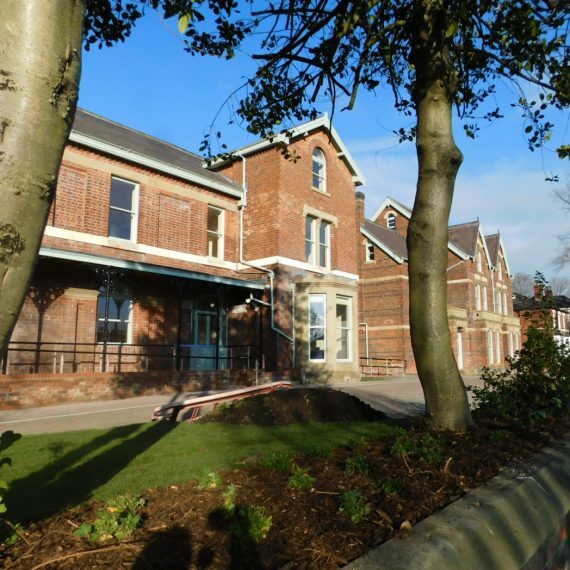 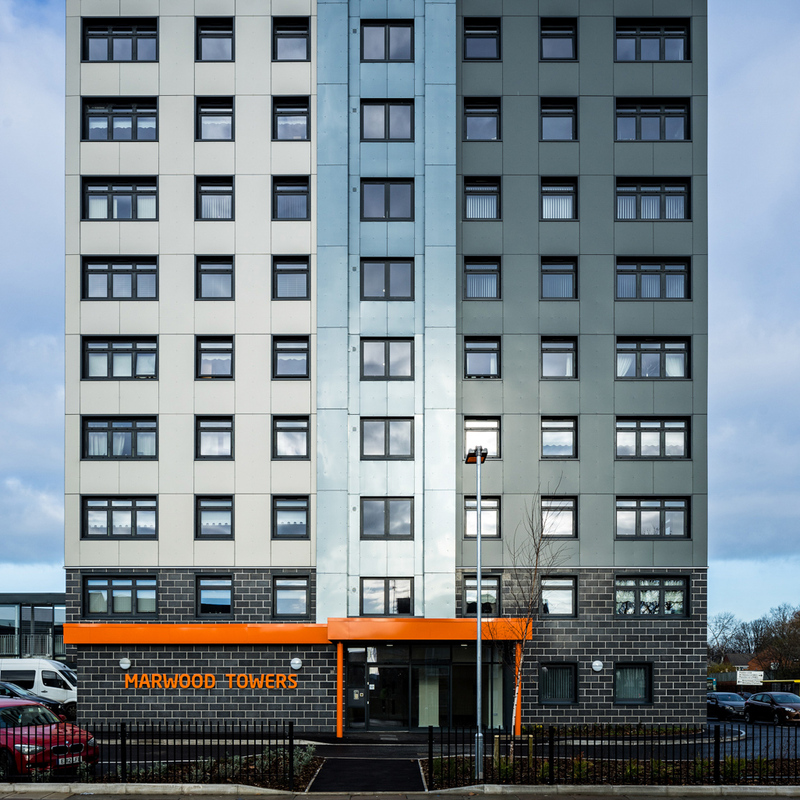 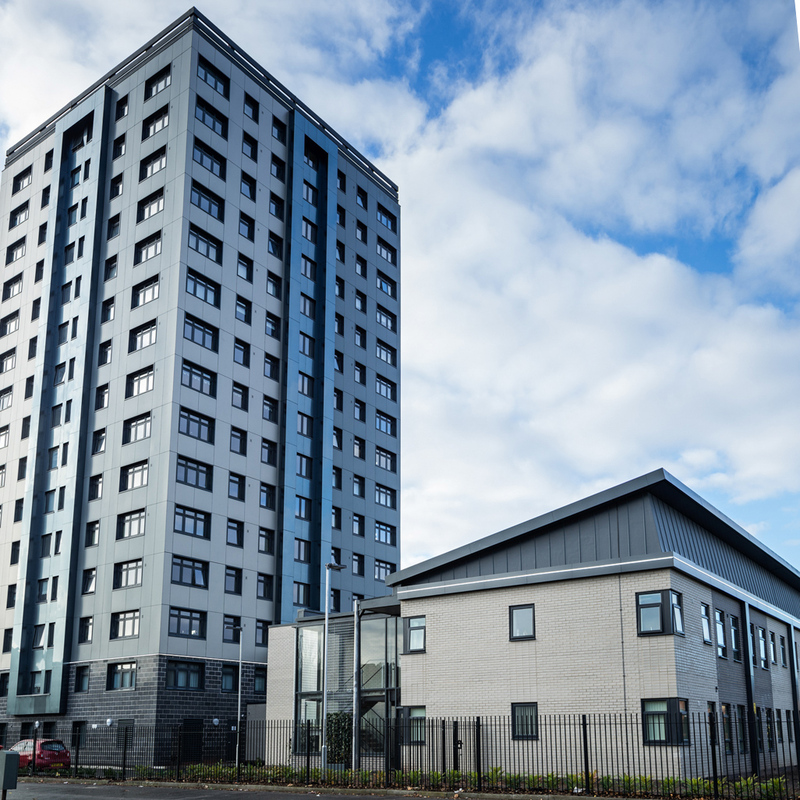 We have completed the refurbishment of an existing empty tower, with new build apartments and communal facilities constructed around its base. 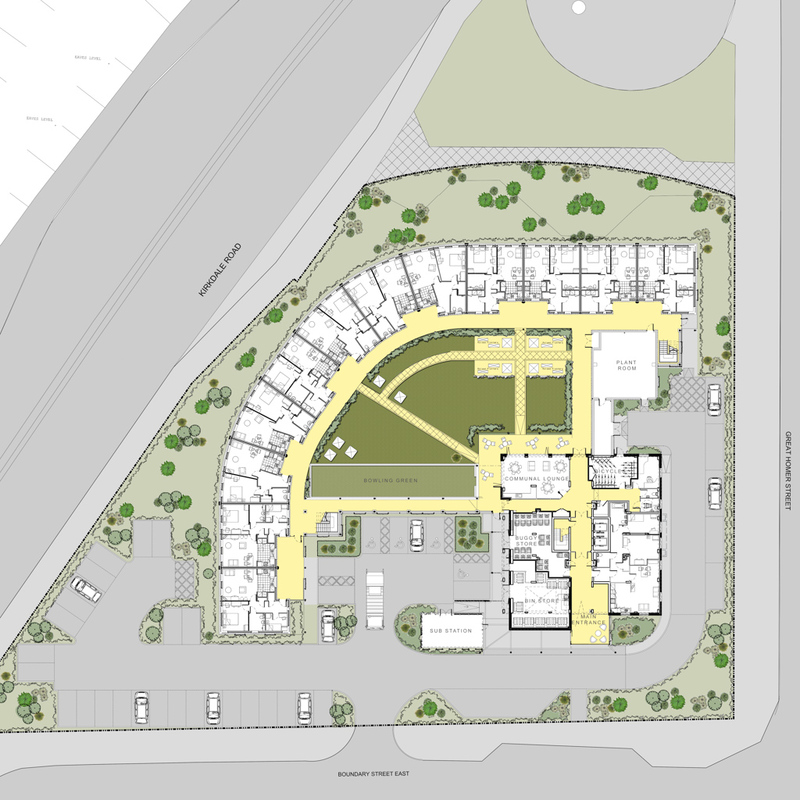 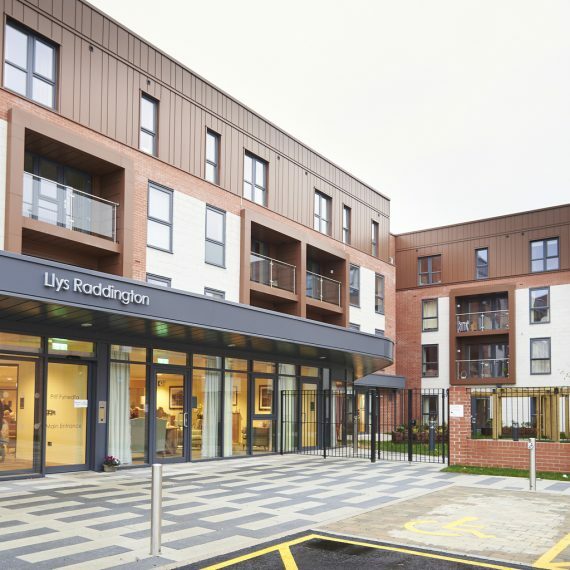 The project has provided 81 apartments as part of a scheme specifically designed for residents over 55. 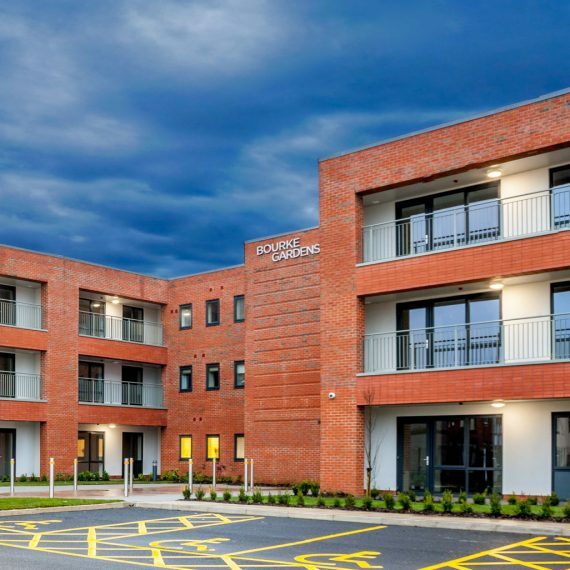 As part of LMH’s continued commitment to the upgrading of existing buildings and the provision of accommodation for the elderly, Marwood Towers in North Liverpool in now occupied by its new residents. 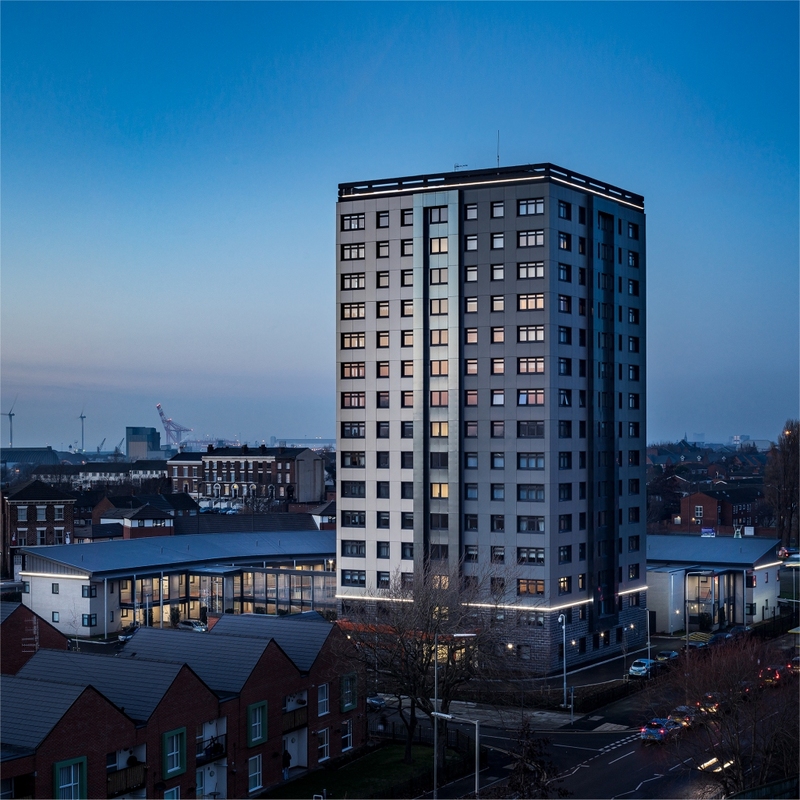 57 Apartments within the tower have been refurbished and upgraded, along with a comprehensive revamp of the tower externally to upgrade insulation and to visually enhance the whole scheme. 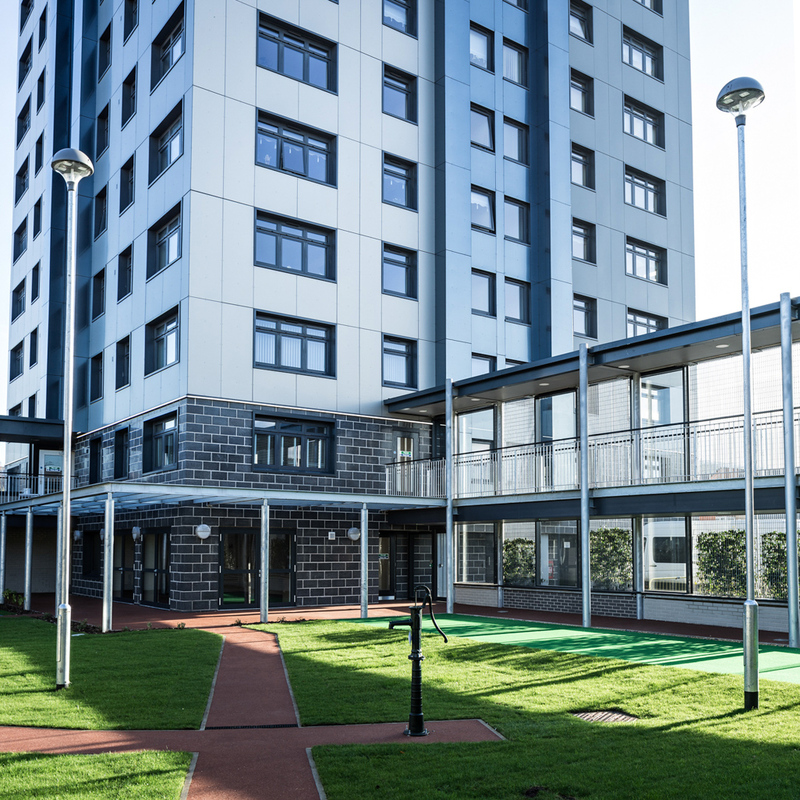 Surrounding the base of the tower a further 24 new build units in the form of an arc have been constructed along with new communal facilities. 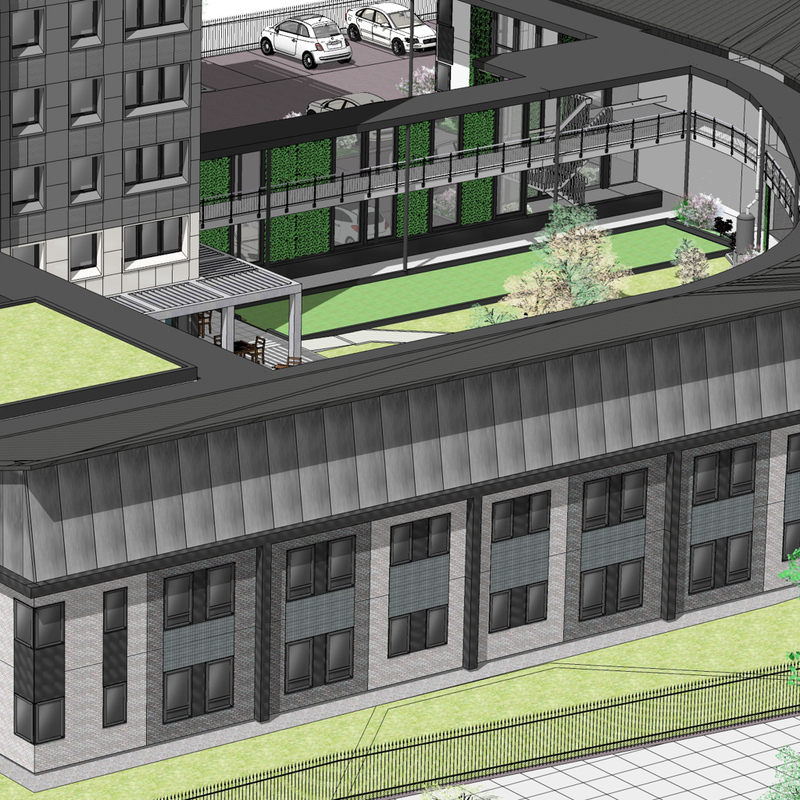 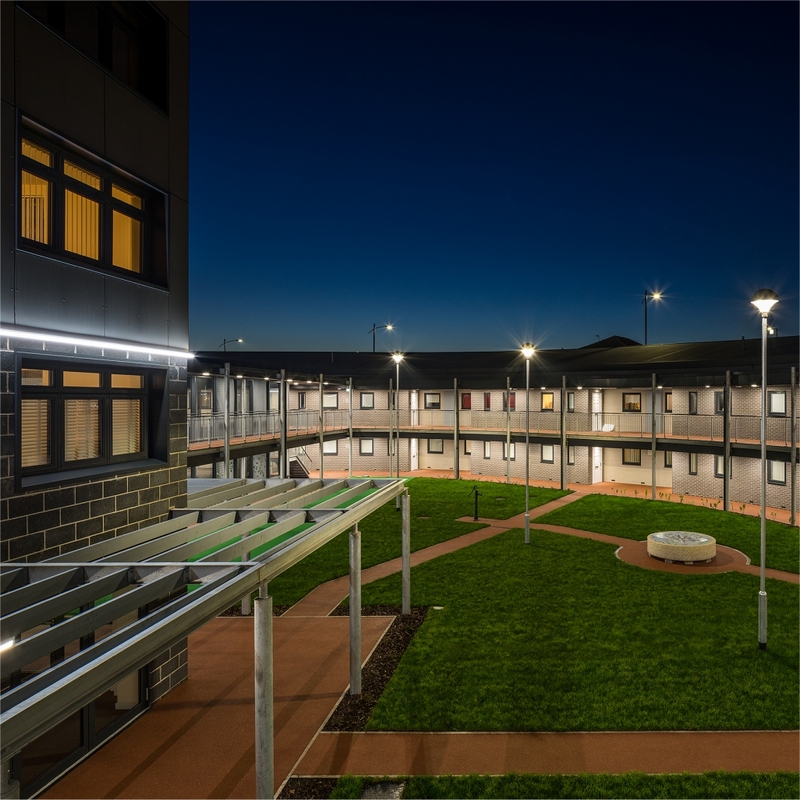 The new build apartments are linked to the main building via 2 storey covered walkways that open onto a newly formed inner courtyard garden at the centre of the scheme. 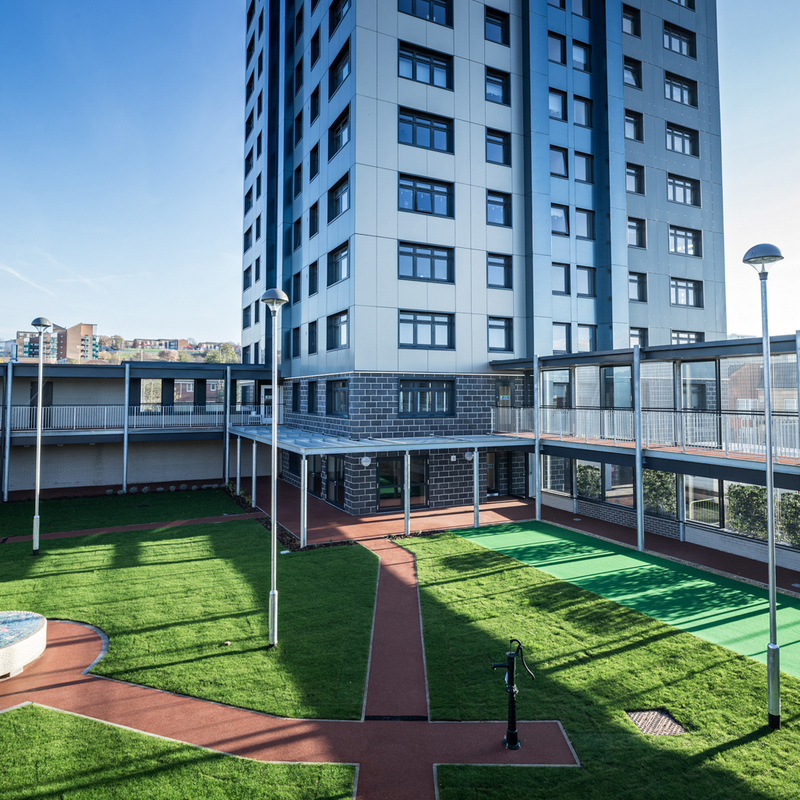 This central garden is private and secure, forming a new shared amenity space for use by all residents within the scheme. 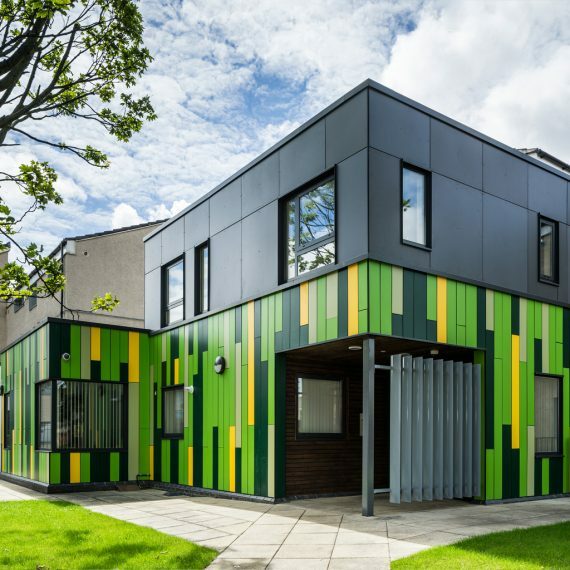 Living green walls are incorporated into various parts of the scheme, including a Mobilane screen lining the Kirkdale Road boundary side of the site.